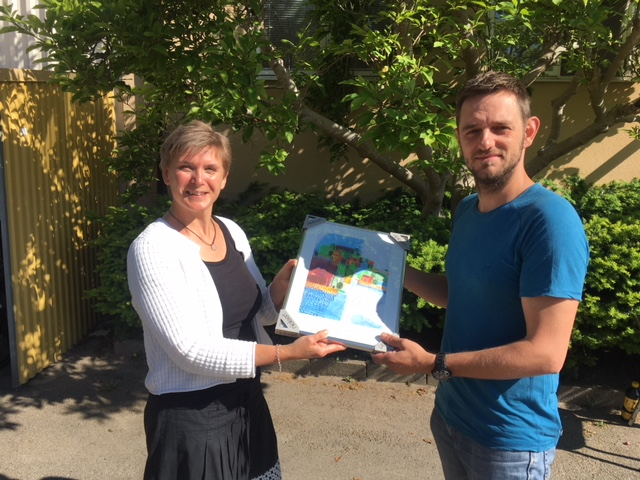 Katarina Hansell handing over a member board to Stan Weyns, CEO of Biolectric. This week, we have welcomed two companies welcome as new members of NetPort Energy Cluster. Biolectric in Karlshamn sells CHP plants to the green industry, primarily agriculture, where methane from manure is used to produce electricity and heat. It is an investment where the farmer can produce his own electricity, but the residual product after digestion is also very good at spreading the fields as fertilizer while at the same time becoming an environmental gain when using methane gas instead of leaking into the atmosphere as greenhouse gases. Biolectric today consists of three people, Stan Weyn’s CEO and the brothers John and Victor Ohlsson, who all three are passionate about this type of innovation, which includes new business and business models, but also an important tool in the entire climate setting. 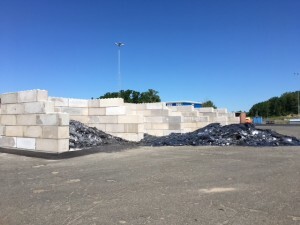 Stena Recycling in Karlshamn, which today moves to a completely new building on the Östersjövägen in Karlshamn, is an important resource in the recycling of various types of residual materials from industries. 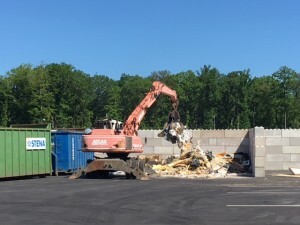 It is important that materials are recycled and recycled as widely as possible, instead of allowing the materials to become energy during combustion. Stena Recycling today recovers 96% of all material they handle from different companies and industries, and there is potential to further increase the proportion of something. 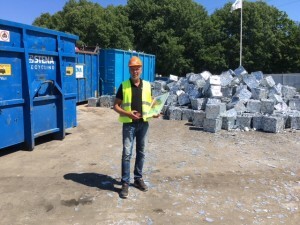 Plane manager at Stena Recycling in Karlshamn is Magnus Anderson, who fires for improvement of operations, such as increasing safety in the recycling area, both for employees but also for the environment and ensuring that metals and other substances do not leak into surrounding nature. Magnus also wishes to be able to digitally digitize parts of the business, both to make time gains, but also to increase control. Site manager Magnus Anderson as well as some pictures of the newly built facility.